English is a language with a long verse tradition, including epic and folk poetry (jingles, counting rhymes, etc. ), which makes it plausible to suspect that poetic form may unconsciously penetrate ordinary language. This may be one of the reasons (aside from the current penchant in American English for hypertrophic––specifically, pleonastic––constructions, due to a failure of thought) why the jejune phrase “exactly right” (or its further engorged variant, “that’s exactly right”) has become so odiously common. Judged metrically, “exactly right” has two stresses, each of which is preceded by an unstressed syllable, rendering the phrase iambic. If “that’s” is added to the beginning, it can be counted as an anacrusis, even though it bears its own stress. QED. One should never discount the possibility of a subterranean presence of the poetic impulse in even the most platitudinous precincts of ordinary language use. As regular readers of this blog may have noticed, sometimes a post includes material in languages other than English, and this particularity even extends to titles. When it comes to German, occasionally your humble blogger resorts to it because of his long-held belief that––as he (half-jokingly) used to tell his students––the (philosophical) truth can only be expressed in German. Human beings behave in a number of ways, many of which involve the use of language. Speech, for example, is typically accompanied by gesticulation with the hands and shoulders (and other parts of the body). As a whole, these phenomena form the object of study called PARALINGUISTICS. But paralinguistic behavior may extend to events where speech is answered by gesture and non-speech more generally. Here is a fresh example. A man in his seventies (let’s call him Monsieur Pamplemousse, for the nonce) walks into the laundry room of his apartment building to wash some clothes and greets a young woman, unknown to him and the only other person present, with his customary “Good morning.” The woman smiles but does not answer. This strikes M. Pamplemousse as rude. However, the woman’s motive(s) for not answering are unclear. Perhaps she is unused to speaking to strangers, even to the routine extent of answering an utterly automatic greeting. Perhaps she thinks (or has been taught to think) that any linguistic act, even something as innocent as a morning greeting, is not to be answered when coming from a strange man because it may be a (hidden) overture to something less innocent. By contrast, when M. Pamplemousse returns to retrieve his laundry from the dryer, the only other occupant of the room is a young man (wearing the de rigueur baseball cap characteristic nowadays of all persons of his age group), also a stranger, whom he likewise greets with the customary “Good morning.” This time his greeting is reciprocated (albeit sotto voce). M. Pamplemousse’s sole evaluation of the young woman’s non-response is that it violates his code of manners. But on reflection, he can understand the range of possible motives of the woman’s behavior. Moreover, even such an unremarkable event, particularly in the context of contemporary American urban life and its mores, can provide food for thought about broader issues of language and culture, witness the present post. Listening to the BBC World Service two days ago, one heard the correspondent John Donnison, reporting from Israel on the conflict in Gaza, utter a sentence in which the “neither . . . nor” construction was mangled as “neither . . . or”––a clear violation of English grammar. The utterance was delivered with such clarity as to allow no possibility for mishearing due to a vagary of radio transmission. The mind boggled at hearing a native speaker of British English commit such an egregious grammatical error. Another example, this time from America. Attending a talk (delivered extemporaneously) at a university by a female biologist––a professor and native speaker of American English in her sixties––one was struck by how many grammatical errors she made in the course of forty minutes. During the discussion that followed, several other persons––all evidently native speakers of American English––offered comments and questions extempore, and in almost every case their speech was not entirely free of grammatical error. Under the circumstances, these data, caught on the fly, might seem unusual and merely anecdotal. But as a matter of actual fact, partially catachrestic speech is rather to be seen as habitual than exceptional in America. Indeed, if one is multilingual, one notices that contemporary American English speech in the raw stands out for its high incidence of grammatical error. By contrast, in other languages that are either habitual for or are known to the present writer, even children––let alone educated speakers––do not routinely make mistakes in their native speech. Listening in situ to the language of Japanese or Russian children as young as five or six, for instance, one rarely detects errors that are not simply imitations of adult misapplied analogical extensions of grammatical patterns. It pays to remind oneself that America has a long history of a distinct socio-cultural aversion to and mistrust of grandiloquent diction in ordinary linguistic practice. Indeed, in our own time speaking well is less and less prized as a cultural value—if it ever was at all. Moreover, eloquence outside public speaking has long been regarded with suspicion as a means by which snake oil is sold and other confidence tricks perpetrated. When it comes to professors and other academics, one need only remember the obsolete American designation ‘egghead’ for ‘intellectual’, used to comport not only a direct reference to the typically bald pate of such persons but indirectly to their speech as well. Autres temps, autres moeurs. Style suffuses so much of what it means to be human, and has been the subject of so much analysis, that in order to move style away from problems of introspection and self-awareness one needs to redirect the age-old discussion into a more public arena where the contrast with custom allows insight into the ontology of human activity in general. This can be accomplished when style as a phenomenon that cuts across disciplinary boundaries is viewed tropologically as a fundamentally cognitive category. A global theory of style entails arguing more closely for the concept of style as a trope of meaning; and demonstrating how stylistic analysis can reveal itself not just as a compendium of traditionally taxonomized information but as the means whereby individual manifestations of style, their structural coherences, and their mirroring of signification can be identified and evaluated. Style is a system of values that informs many types of human activity and is central to the practice of several academic disciplines. In examining style, one needs to utilize a working definition of the term ‘style’ as a form or mode that is identifiable, in an individual or a group, through a range of specific acts and the structures they reflect, with an organizing and stabilizing function. Moreover, style can be seen to appertain ultimately to the symbolic functioning of anything that is a manifestation of human behavior: actions, works, performances, made objects. I. Form and content. Insofar as the distinction can be clear at all, it does not actually coincide with but cuts across the boundary between what is style and what is not. Style then comprises characteristic features both of what is said or performed or made and of how it is said/performed/made. If it is obvious that “style is the regard that what pays to how” the faults of this formula are equally obvious. Architecture, nonobjective painting, and most music have no subject, nor do they literally say anything. So the “what” of one activity may be part of the “how” of another. No rule based on linguistic form alone could determine, for instance, whether or not a discursive meaning is ironic. In considering linguistic style at least, and perhaps even style generally, it soon emerges that the relation between form and content must in part be described metaphorically. II. Content and expression. One famous theory of style, that of the French scholar Charles Bally, identifies linguistic style with “the affective value of the features of organized language and the reciprocal action of the expressive features that together form the system of the means of expression of a language.” From this Roman Jakobson fashioned a definition of style as “a marked––emotive or poetic––annex to the neutral, purely cognitive information.” Aside from the impossibility of consistently separating cognitive from affective information without remainder, it is equally transparent that definitions of style that trade in feelings, emotions, or affects go awry by overlooking not only structural features that are neither feelings nor expressed but also features that though not feelings ARE expressed. III. Difference between stylistic and nonstylistic. A feature of style may be a feature of what is said, of what is exemplified, or of what is expressed. But not all such features are necessarily stylistic. Similarly, features that are clearly stylistic in one work may have no stylistic bearing in another locus. Nelson Goodman writes: “A property––whether of statement made, structure displayed, or feeling conveyed––counts as stylistic only when it associates a work with one rather than another artist, period, region, school, etc.” But there is no discovery procedure for the isolation of stylistic features, nor is there a fixed catalogue of stylistic properties or traits. Not every property that points in the direction of a certain author/performer/maker is necessarily stylistic in purport. IV. Perception and recognition of style. The registering and identification of some particular property as a stylistic feature presupposes some collateral knowledge of the work at stake: the style of Haydn or Hardy or Holbein does not proclaim itself to the casual listener or reader or museum-goer. This is true not only for high culture but for anything that can normally be thought of as “having style,” such as clothing. Styles are normally accessible only to the knowing eye or ear, the tuned sensibility, the informed and inquisitive mind. The entire enterprise of art and music appreciation is built on the (often tacit but nonetheless correct) assumption that the stylistic distinctions and values that inform works of art and music cannot even be perceived, much less properly evaluated, without training. V. Style and history. Not only is style necessarily embedded in history, there is no way of discerning the presence of style except in terms of what preceded a (provisionally) stylistic phenomenon and the potential interpretation it prefigures. The categories of style are invariably retrospective. The very assessment of style as “novel” requires a historical backdrop by definition. It is only in such a context that it becomes possible to evaluate the stylistic development of a given author’s oeuvre. The very term “classical” is a reminder that style cannot be understood except in historical perspective, retrospectively. As Berel Lang has noted, “style, it seems, is never pristine, never without historical reference; it never reveals an object without also revealing a genealogy of means. For style, intentionality is destiny.” But the historical embeddedness of style is not just an account of origins; it enters into its ontology and into its structure in the same crucial way that comparability, selection, combination, and hierarchy do. Petrified stylistic features in artifacts and texts from historically remote epochs and cultures are often the only source for subsequent recovery of meanings and values. VI. Norm and deviation. Numerous analysts have concurred in the notion of style as a deviation from the norm (of stylistic neutrality). Apart from the obvious difficulties attendant upon establishing a norm, it is clear that the “unusual” character or quotient of a style is not a matter of deviation (even less of deviance) but of innovation, which invariably originates in the behavior of particular individuals and becomes a full-fledged social datum only when it spreads to a significant number of the community at large. Stylistic innovations are just as important, if not more so, for the study of style and the construction of a general theory of style as features that are fully coded stylistically. Indeed, one of the implicit assumptions of this approach to style is that innovations and the context(s) of their appearance furnish the investigator with the most reliable testing grounds for any overarching conception of style. VII. Style and troping. Underscoring the status of stylistic features as units of meaning, the idea emerges of an organic link between style and troping, that the two chief tropes, metonymy and metaphor, have a structure and a dynamic that shed light on the development of style. Metonymies and metaphors are constituted by semantic units that have to be comparable potentially, then selected and combined in actual instances of troping or figuration, and finally ranked vis-à-vis one another. Style starts out as an innovation linked to an individuated creative act that defines its uniqueness by establishing a hierarchical contrast with some relevant aspect of norm or custom. This external connection––a metonymization––is invariably accompanied by or results soon thereafter in the reevaluation of the datum’s place in the overall system of which it is a part. In order to go beyond its inchoateness as a piece of style, the datum must effect a reversal of its status: it must cease to be primarily a fact of physical substance and become one of symbolic form. In short, it must be metaphorized. VIII. Style as figuration. The parallelism of structure between style and troping makes clear the understanding of style as figuration. Recall the connection between style and person that is emblematized in Buffon’s famous dictum “le style est [de] l’homme même” (‘style is [of] the man himself’). Defining style as figuration points in the direction of and ultimately substantiates Buffon’s insight but does so through an emphasis on figure (Latin figura), specifically in its meaning of the human form. Recalling also that Latin fingere has a whole constellation of meanings that center on notions of molding (as from wax, clay, or molten metal), creating, producing, and arranging as applied to the most diverse matter, including works of art and literature, it becomes possible to assert the natural union of style, figuration, and personhood or humanity. Anyone seeking to discover and describe the style of a work must attend explicitly to the matter of hierarchy, to the rank relations among the elements or features uncovered. As a direct corollary, the analysis implies that there is no such thing as “value-free” criticism, whatever the artistic or behavioral sphere––just as there is no value-free perception or conceptualization. In the sense that style has now come under the compass of figuration, it ceases to be merely and essentially a series of accoutrements and assumes its rightful place as a central species of meaning through symbolization. Language comes in many varieties, including dialects, sociolects, idiolects, and established hybrids known as creoles and pidgins. When non-native speakers acquire foreign languages, they also vary in the degree to which imperfect learning affects their speech. This is immediately apparent when one listens (on the BBC World Service, for instance) to speakers who struggle with the global lingua franca, English. As a medium of effective linguistic communication, of course, broken English must often serve because its producers may not have the luxury of speaking only when they know their version of English is grammatically correct. What they say, unfortunately, can easily grate on the ear of a native speaker (or of a foreigner whose English is impeccable) because it is a species of what can––for the nonce––be called CACOGLOSSIA (< Gk κακός [kakos] ‘bad, evil’ + γλῶσσα [glossa] ‘tongue, language’). Cacoglossia is a phenomenon that ought to alert one to the conceptual truth of the assertion that speaking a language is like playing a musical instrument. When a person plays an instrument badly and produces cacophony, it is strictly parallel to the ill-formedness of the speech of those who have an imperfect command of the language they are using to communicate. 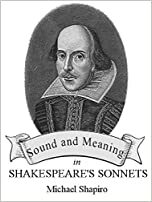 Beauty, as regards both music and speech, can only obtain when the product and the underlying design (= grammar, score) of each sound domain are in harmony. The instrument of thought is language, otherwise known as INNER SPEECH. This variety of language may not necessarily be as well-formed as speech when exteriorized, but no matter how fragmentary, it is recognizably language. Moreover, we may actually choose from possible lexical variants (like synonyms) in clothing inner speech in the dress that answers to our thought. Thus, to give a fresh example from the real life of your humble blogger, today I was about to cross the street at the corner of York Avenue and East 80th Street in Manhattan, when I looked around me and noticed the considerable variety of human types in my immediate vicinity. I then verbalized it to myself by forming the sentence, “There’s quite a mixture here,” but then quickly changed the form to, “There’s quite a mélange here.” Why I chose to replace the ordinary word mixture with the French mélange is not altogether clear, except that when I made the change, I thought to myself, “Mélange is more apt.” It is, after all, a borrowing from French, and thereby conjures up all kinds of semantic associations that are not coincident with those of the English word mixture. There is in fact no such thing as perfect synonymy, synonyms always differing from each other in one or more respects. Such is the variability of inner speech, the language of thought––even about the most quotidian things in one’s life.